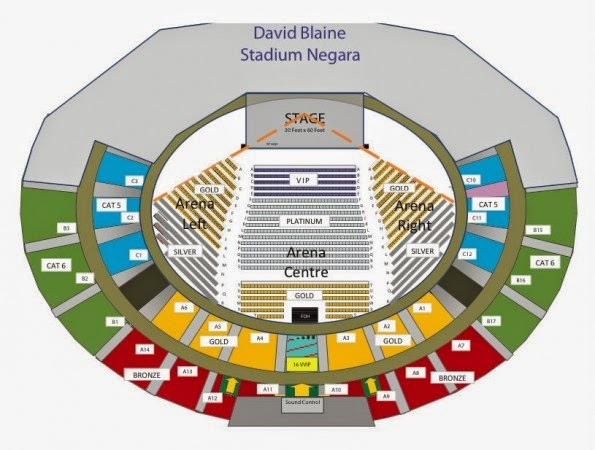 Home / david blaine / live in malaysia / magic / news / David Blaine’s “Real or Magic” LIVE in Malaysia! 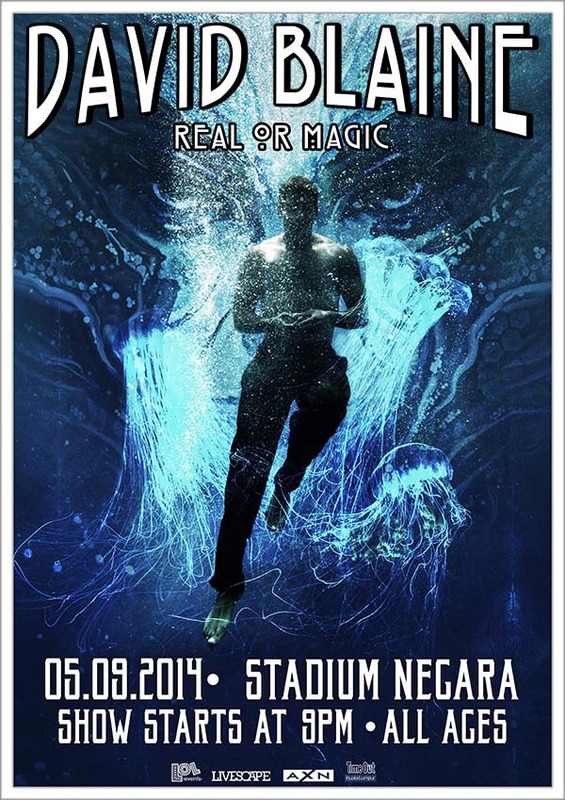 David Blaine’s “Real or Magic” LIVE in Malaysia! Prepare to feast your eyes on one of the most magnificent and surreal magical performances by famous illusionist and magician, David Blaine, when he sets his foot on Malaysian ground for a 90-minute live show on 5 September 2014 at Stadium Merdeka, KL. Blaine, who started off as a street magician, is known for his high-profile feats of endurance and has successfully made his name known to everybody through his street-performance and close-up magic. He has performed and travelled all over the globe as well as set and broken several world records. Some of his crazy yet amazing stunts include “Frozen In Time”, where Blaine was encased in a box of ice for 63 hours, 42 minutes and 15 seconds, “Vertigo” where he stood 35 hours on a 22 inch pillar and “Above The Below” where he went 44 days without any food or nutrients and survived on just 4.5 litres of water per day. This time Blaine is ready to cast his spells on fellow Malaysians for his “Real or Magic” show live in Kuala Lumpur. Blaine’s television special “David Blaine: Real or Magic”, featured a number of celebrities and public figures such as Woody Allen, Robert De Niro, George W. Bush, Harrison Ford, Kanye West, Jamie Foxx, Stephen Hawking, Macklemore, Katy Perry, Michael Phelps, Will Smith, Jada Pinkett Smith, Jon Stewart, Psy, and more. Official poster for “David Blaine: Real Or Magic”. The seating arrangement for “David Blaine: Real or Magic”. Grab the best seat!